One of the stations in James Werner’s project. Participants could read questions and make a video response that was sent live to the web. Active Reflections is an interactive installation that encourages audience participation and creative expression through video capture. The work was installed on the Huatoki walkway in New Plymouth and developed to be a collaborative installation with Ava Werner. 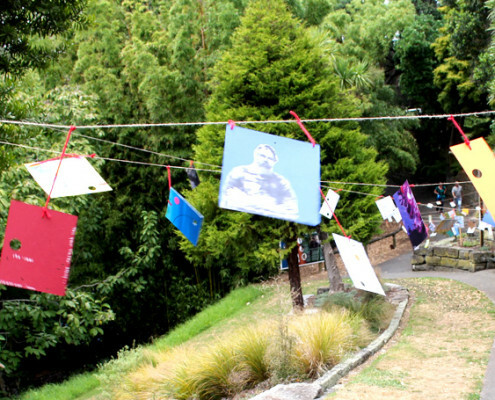 Visitors to the exhibition were encouraged to take Ava’s hanging work distributed along the walkway home with them, and asked to give a creative response in return. The space was equipped with multiple video recording devices that allowed visitors to record their responses or perspectives on the topic of water and peace, and/or the work they were taking. Visitors were encouraged to respond to either the questions on the back of artwork they were removing, related to local Maori culture, or in relation to their own personal perspectives. 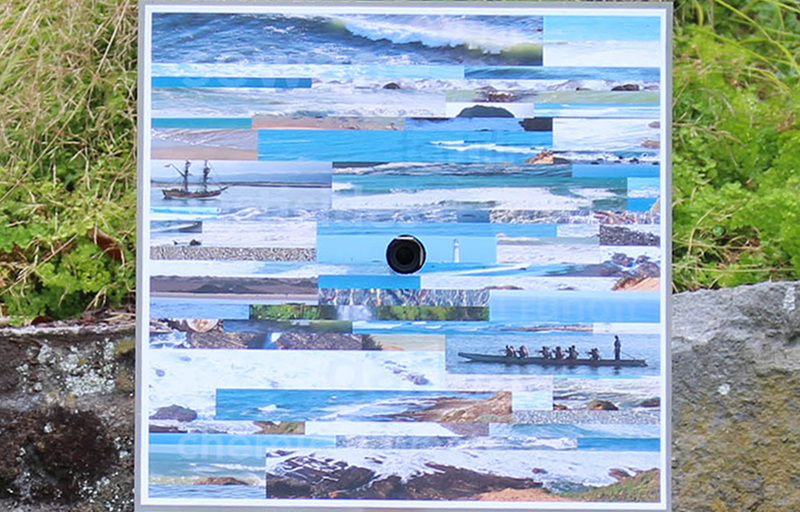 The resulting videos are compiled into a single, interactive video piece. The final work is a video diary representation of the unique and diverse narratives and perspectives of the local community surrounding water and peace. 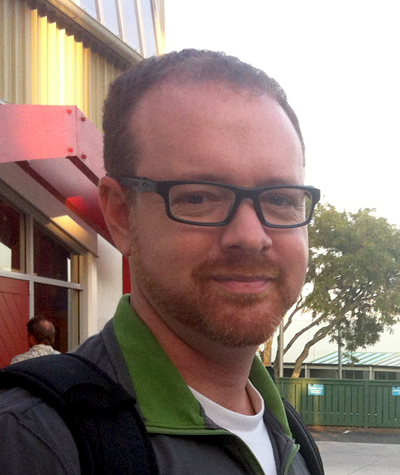 James Werner is Assistant Professor of Media Arts at California Polytechnic State University, San Luis Obispo. 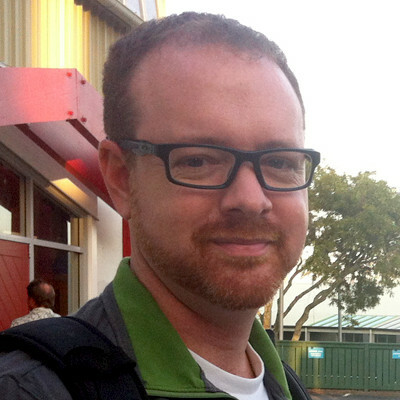 He teaches in the Art & Design Department, and as the Media Arts, Society & Technology (MAST) professor in the STS program. His current research focuses on contemporary art practices in social media participation, telepresence in public space, and the evolution of the gallery and museum through new media collaborations. His research has been funded by many organizations including the National Science Foundation, the Spencer Foundation for Research, and the Research Development Initiative in the UK. Recent publications include research on collaborative aesthetics in museums and galleries, environmental art in the 21st century, and the aesthetics of gaming in engineering and science education. Werner is a practicing artist. His work has been exhibited both nationally and internationally. His most recent installation was at the SCANZ 2015 exhibition. Ava Werner’s project was integrated with James Werner’s.